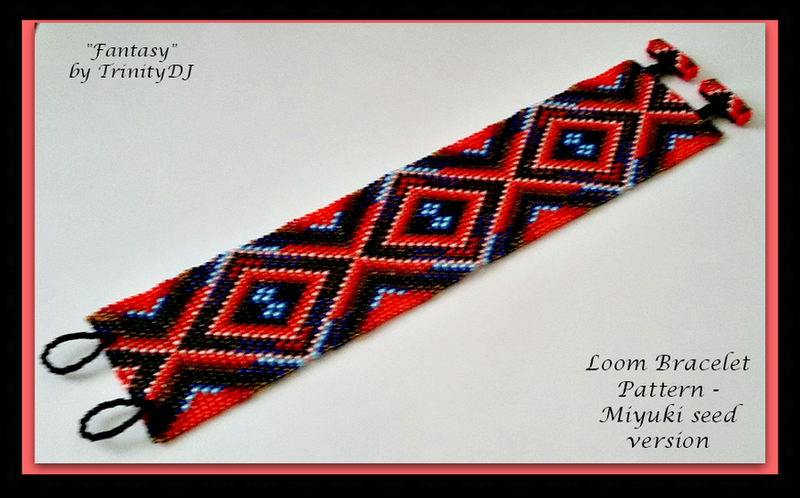 This is loom bracelet pattern. Please note that the graphs underneath the bracelet graph are for the toggle bars. The measurements are given without the clasps. This pattern is designed for the use of Miyuki #11 round seed beads and a single 5 lb nylon thread with #10 or #12 beading needle. If you need a smaller bracelet, I will alter the pattern to your requirements. Instructions for loom are not included. The instructions for the toggle clasps are included.